Mr. Udow is the Chief Legal Officer and Company Secretary for the RELX Group, the parent company of LexisNexis. Mr. Udow has extensive experience managing global legal and mergers and acquisitions (M&A) departments at large blue chip multi-national companies in publishing, information solutions and consumer goods industries. Before joining RELX Group in 2011, he served as the Chief Legal Officer and Company Secretary at Cadbury Limited (formerly Cadbury PLC). 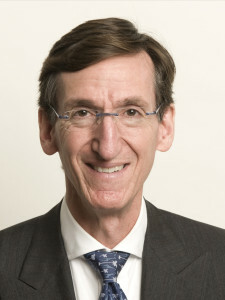 Before his role as Chief Legal Officer and Company Secretary, he served in a number of leadership roles including, Senior Vice Presidents of Mergers and Acquisitions, Senior Vice President, Legal Director of the Global Beverages Business, Vice President, General Counsel & Secretary for Dr. Pepper/Cadbury North America Inc. and Vice President, Division Counsel & Assistant Secretary. Before his work at Cadbury, he was an associate at Shearman & Sterling in the Securities and Mergers & Acquisitions Departments, based in London. He started his career as a Press Aide to U.S. Senator Richard Stone (D-FL), where he helped manage media relations for the Senator. Mr. Udow holds a Bachelor of Arts degree from the University of Rochester and a Juris Doctorate from the University of Michigan Law School.